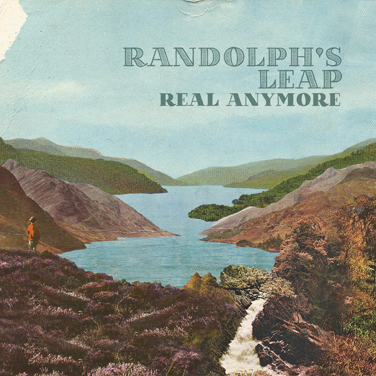 Real Anymore by Randolph’s Leap is unique to all others. The witty, story-telling ways of vocalist Adam Young throughout makes the listener feel they’re right there with him along his travels of meeting the ‘Indie King’ and telling destinies as a telephone psychic, but also conveys real emotions of self-doubt and heartache. The album opens with ‘Conversation’ a barrage of Young’s accent and story telling, guitar skills of Iain Taylor and Andrew MacLellan and the witty lyricism that is only mirrored further on in the album. ‘Psychic’ and ‘Winceworthy’ keep the opener’s indie vibes, while ‘Real Anymore’ and ‘Indie King’ show the listener the more rock and slightly electronic edge the band also has. ‘Nature’ falls flat in comparison with over-powering instruments and an overly drawn-out guitar solo, yet the Jake Bugg feel to the lyrics keeps the song from being a total flop. The observational, story-telling tone of this album is reminiscent of early Arctic Monkeys, while Young’s vocals and the Indie folk feel to the album keep Randolph’s Leap entirely unique to anything around just now, you sense there’s only greater things to come from these guys.